AMMONNEWS - Qatar won the AFC Asian Cup Group E game against Saudi Arabia in Abu Dhabi with a score of 2-0 on Thursday. Qatar's forward player Almoez Ali scored the two goals. Earlier in the first half, a penalty kick for the Qatari team almost scored, but Saudi Arabia's goalkeeper Mohammed al-Owais dived in for a perfect save. Qatar finished top of the group with both sides already qualified having taken a maximum of six points from their previous two games. While Qatar have never gone further than the quarter-finals, Saudi Arabia's team is one of the continent’s traditional football powers, winning the Asian Cup three times and playing five World Cups. Both sides said on Wednesday they were focused on the game, not politics. “It will be like any other game for us,” Saudi Arabian forward Fahad al-Muwallad told reporters. “We only think about the pitch,” he said. 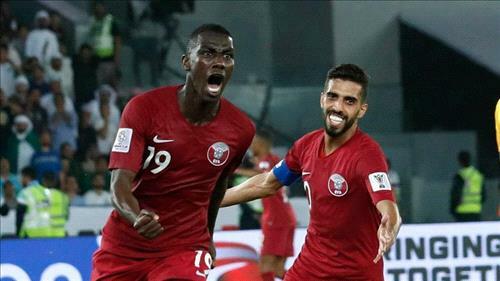 Qatar head into the Gulf derby on top of Group E with a superior goal difference after thrashing North Korea 6-0, including a record-equaling four goals in a single match from striker Almoez Ali. Qatar will face Japan or Uzbekistan from Group F in the knockout stage and Saudi Arabia meets Iran or Iraq.